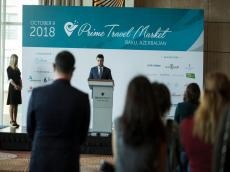 On October 9, The Prime Travel Market was organized by Prime Consulting for the third time, with the support of the State Tourism Agency (STA) and the Azerbaijan Tourism Association (AZTA), and has become one of the most successful events in the field of luxury tourism in Azerbaijan. By tradition, the exhibition was held at the JW Marriott Absheron hotel, in the halls of which professionals from the tourism sector of Russia, Ukraine, Kazakhstan, Azerbaijan, Slovenia, the Czech Republic, Belarus, Italy, Spain, Switzerland, Germany, India, Mexico, Turkey, Greece, United Arab Emirates and South Africa gathered, to get acquainted with the news in the hospitality industry, new host companies and the services provided, as well as build successful partnerships and strengthen existing ones. This year, according to the organizers of Prime Travel Market, a large number of both local and foreign travel agencies took part in the exhibition. The participants of the event were 5 star hotels, exclusive resorts, global hotel chains, unique boutique hotels, airlines, leading tour operators, and concierge companies. The partners of the third Prime Travel Mart exhibition were Ganja Sharab and Turkish Airlines. Organizers of Prime travel Market were pleased to offer the visitors about 20 valuable prizes. Prime Travel Mart has deservedly won the reputation of one of the most efficient B2B events in the tourism industry in the region. The next Prime Travel Market event is scheduled for March 2019.